Jim, aka Newepicauthor, the creator of A Unique Title For Me is hosting SONG-LYRIC-SUNDAY and has chosen to give us the themes in advance. Well…I have had all week to think of a song on the theme: NO. There are a lot of songs with the word no. Having a whole week to think of a song threw me, because every song I thought of I rejected, thinking other bloggers would choose the same song. Although doubling up is perfectly fine, there is always a little bit of excitement from coming up with a song that other bloggers may not have thought of. I think a lot of British bloggers will instantly recognize the song I have chosen for my SONG-LYRIC-SUNDAY post, but I am curious as to how well known it is by overseas bloggers. …from the closing credits came into my head, and I settled on this for my choice. This should be a very fun theme for SONG-LYRIC-SUNDAY! Looking forward to seeing your posts. I’ll fetch the suitcase from the van. Then brother, I’m your man. 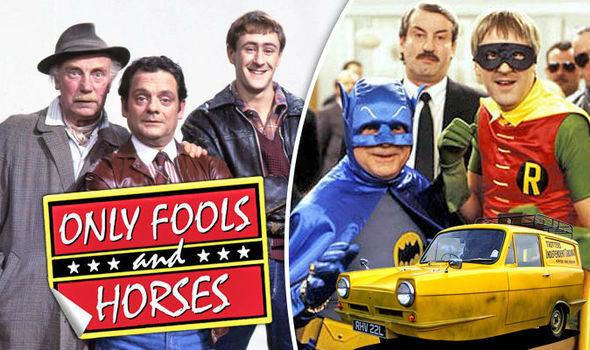 I LOVED Only Fools And Horses!! This time next year Rodney, we’ll all be millionaires!! They are super aren’t they! 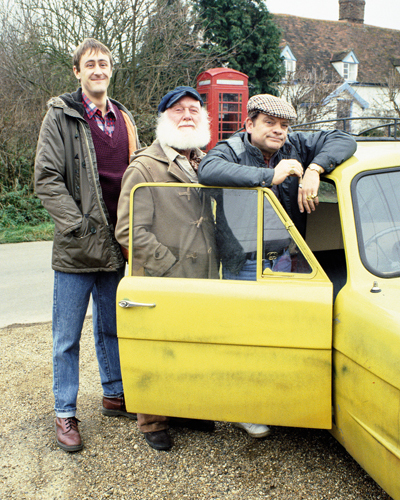 Something so adorable about David Jason…and the rest of the crew. I wondered if episodes of “Only Fools And Horses” would have been broadcast overseas. It was massively popular in the UK. I’m one of those boring people who never finds time for TV. A great programme! I loved the Batman and Robin episode along with the one cleaning the chandeliers, and the blow-up dolls. Aaaaaaw Sheree – they were such funny episodes! I don’t know that I have ever heard of this show before, let alone the music – but is seems like something I would watch. They were a very funny crew Mary! Needed to be light-hearted and fun today…I have been working on a series of difficult posts. So anything to lighten the mood today! I was even tapping my feet while I was listening. …if you asked the bloggers you are interviewing in podcasts for some of their favourite tunes…it would sound like Desert Island Disks! Is that feasible? That is a solid idea Mel. Thanks. Is it ok with you, since it is your idea, if I do just that? Oh please do…I would love it! Those of us who have no idea what Facebook is. Is that the actual definition? I think a Luddite is opposed to developments in technology. During the industrial revolution I think a lot of Luddites destroyed machinery that they believed were taking their jobs. There may be some who are genuine Luddites today – as in actually opposed to developments in technology. I am not. But my friends tease me for having a basic old Nokia phone – that doesn’t even work properly and being so technically primitive. Ok, thanks for the description. Now I understand it better.